SLUGSALT RECORDS - Mikan Mukku - Kan b/w Chin Dan 7"
Mikan Mukku - Kan b/w Chin Dan 7"
Bitter Lake Recordings is proud to present the first proper independent release of cult Japanese new wave duo Mikan Mukku, comprised of multi-instrumentalist Kotobuki Hikaru and vocalist Mikako Mihashi. 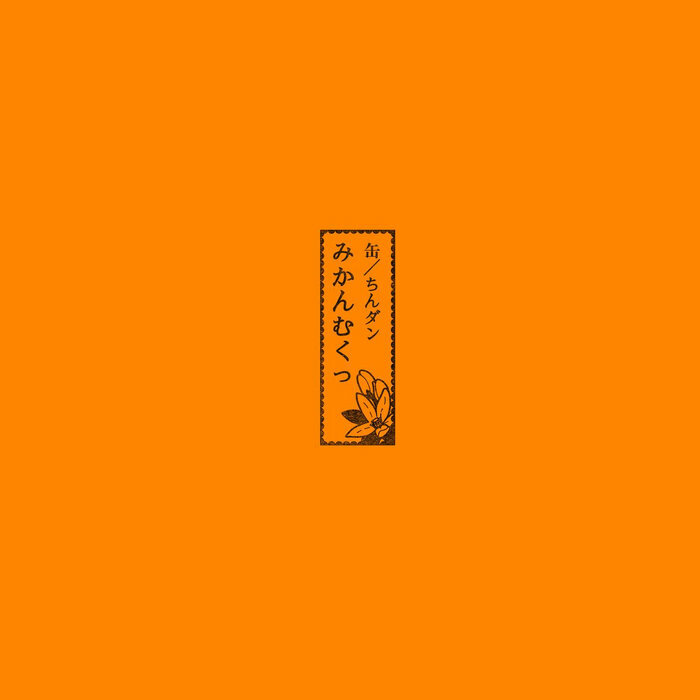 The band's previous material has been limited to compilations until now with the arrival of the 缶 / ちんダン 7”. While the band existed from 1982 until 1987, the band's sole recorded output consists of only two songs: the minimal, haunting "缶" ("Kan") and the more playful yet still ominous "ちんダン" ("Chin Dan"). Recorded in a private studio in Minami-Magome in Tokyo in 1986, both tracks that appear on this single were first released on two separate 7" flexi compilations on ガラスレコード (which phonetically sounds out as "Garasurekōdo" and can be translated as "Glass Records"). Shortly after Mikan Mukku's dissolution, Kotobuki Hikaru became a member of the legendary P-Model throughout late 80s and into the early 90s. Sold or given away primarily at live houses at which Mikan Mukku performed, it is unclear how many of these ultra-rare flexis were distributed or even pressed, but it seems only a handful ever made their way into the world or seem to even exist in the modern day. Still, the recent emergence from total obscurity of these two atmospheric and uniquely Japanese new wave gems has all but guaranteed their place as some of the best and most enigmatic minimal synth to emerge from the island.